The right question can turn an every-day observation into an inspiring learning experience, while too much show distracts from the content. The goal of Ciênsação experiments is not to demonstrate that claims made in schoolbooks are true, nor to follow step-by-step recipes leading to predefined results. 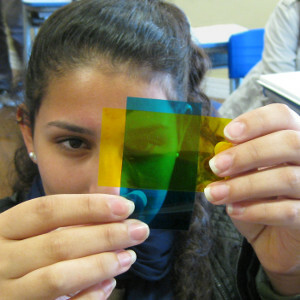 In contrary, Ciênsação encourages critical thinking, an inquisitive mindset, and the joy of discovery. 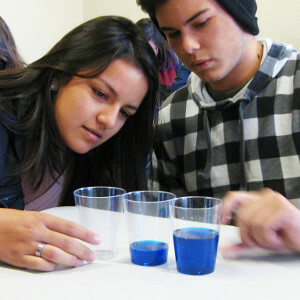 Ciênsação has been developed with the support of UNESCO Brasil to promote a culture of short hands-on experiments and skill-fostering science education. We understand that the pressure of a dense curriculum and the urge to prepare for the next exam leave little time for elaborated experiments. Experienced teachers have therefore compiled this collection of short research activities – taking usually less than 10 minutes to complete – that you can easily integrate into your day-to-day teaching. These student research activities are a bit different from experiments you may find on YouTube or in text books. 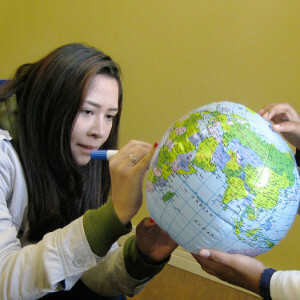 They are specifically designed to foster skills like analytical thinking and task oriented team work. Each experiment comes with questions that encourage engaging discussions which you can build on in your teaching. Instead of merely illustrating scientific concepts or natural phenomena, they are made to teach science as an activity, as a fascinating art your students will be keen to master. Get started by browsing through our database of experiments. Find one that raises your interest – and just try it for yourself! Play with it, have fun, and then reflect what excited you most about the experiment. Have a look at the teacher page, where we provide some suggestions that have helped other teachers when applying hands-on experiments in class. Adapt the experiment to your course content. Often, the same experiment can be used in very different contexts or even subjects. The learning outcome primarily depends on the questions you use to guide the discussion.